Help, My Cat's Not Sleeping Enough! Meg, it does sound like Mimi isn't sleeping enough, but it's difficult to know what might be going on with her. Our first suggestion in a case like this is to have her thoroughly checked by a good veterinarian - someone who will be your partner in figuring out what's going on with her even though there may not be much to go on. While it’s possible that she could be experiencing some sort of pain which is keeping her up, it isn’t the most likely scenario. Once she has a clean bill of health, you can move on to behavioral and environmental factors. 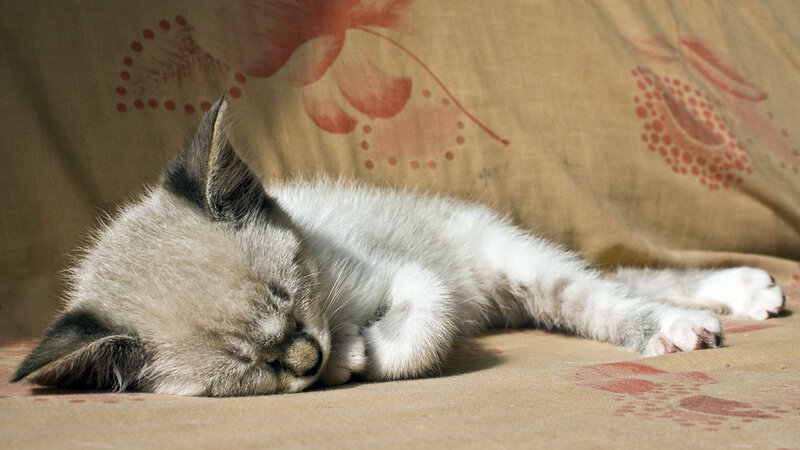 Most cats sleep more in the winter months than in the summer. They also like it when the household adheres to a clear and predictable schedule. The trick with Mimi may be to establish a regular schedule and then leave it to her to adjust once you've ruled out larger issues. Cats are highly adaptable and three months really isn't enough time for her to settle in completely. Just make sure you schedule some lap time for her in the evening while you watch TV or are on the computer. You also want to spend 15-30 minutes each evening playing with her before bedtime. A cat's natural rhythm is to hunt, eat, and sleep. If you mimic that series of events before bedtime by playing vigorously and then feeding her just before bed, she should sleep better and longer. It will also be good to develop some signals for her to know where she is in the daily routine. Telling her, "time to play" or "time to sleep" will help her to know what to expect next. Cats generally love schedules and respond well to them. The schedule is also where your husband's insomnia could be having an effect. Cats are curious creatures because their survival depends on it. If they hear a rustle, they'd better go explore it because it might be the only prey they find that day. When your husband gets up and moves about the house during the night, it's a safe bet that Mimi becomes curious and wants to know what he’s doing. Since this doesn't happen on a particular schedule, it could definitely make her uneasy and unwilling to sleep until she knows that he’s settled. Being active can be very distracting to her. Overall, I don't think you need to worry too much about her not getting enough sleep. As she settles into your household and feels her ownership of her territory, she'll naturally relax more. We wish you and Mimi all the best! 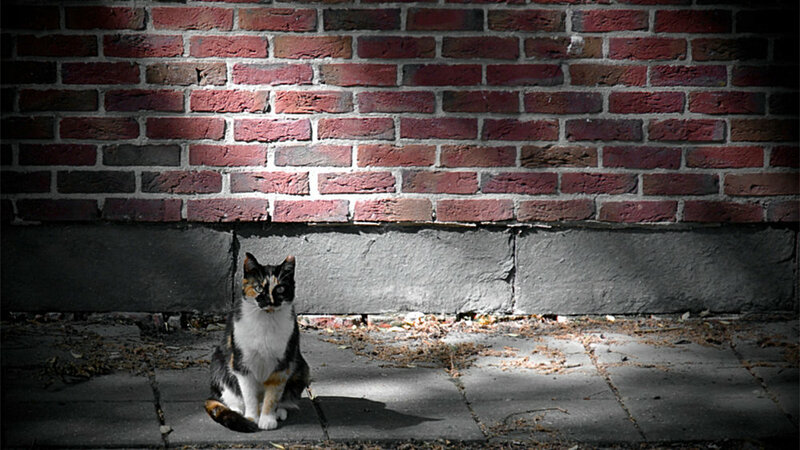 Indoor-only cats can become bored with their surroundings if those surroundings aren’t enriched in some way. Cats are naturally curious and they thrive on novelty as long as it’s not too overwhelming. So what do you do if your living space is especially small? Molly, cats are highly adaptable. Most will make do with the area they have available. But to thrive, they might need a helping hand. The first thing to do is to evaluate the vertical space in your apartment. Can the cats get up to high places? We humans tend to think in two-dimensional space, or square footage, but most cats love to get up high and survey their territory. It makes them feel more secure. 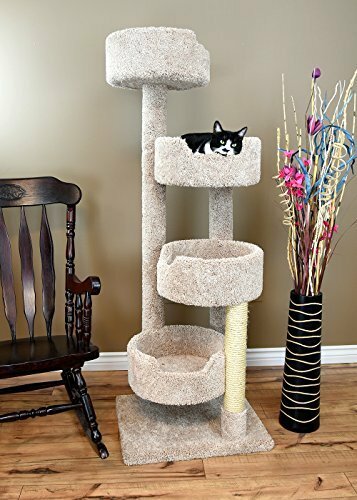 You can maximize vertical space by adding at least one tall cat tree with multiple lounging levels. This doesn’t have to take up a ton of square footage. This floor-to-ceiling cat tree takes up very little real estate while giving maximum vertical space. It isn’t the most durable cat tree out there. In fact, it can be a little wobbly, but it has one of the smallest footprints available and its also inexpensive. We’ve had several of these over the years and our only issue was with the coverings getting shredded by one of our heavy scratchers. If you can afford the space (and the price) this cat tree is recommended. It’s a lot more durable, but it also takes up more space. 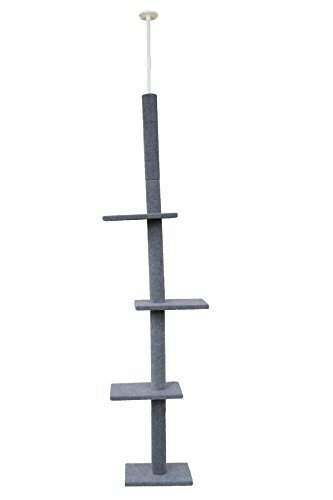 Once you have a cat tree, position it so that the cats can use it as a ladder to other high spaces like the tops of bookcases or other furniture. Other environmental enrichment possibilities include making windows available to the cats at all times. Window space can become a prime resource in a small place so you want to make sure there are lounging areas by all the windows and that the cats have access to them 24/7. If you feel exposed having window coverings open all the time, just put up a baffle of some sort that the cats can go behind. This can be as simple as propping one end of the blinds open so the cats can get to the window but no one can see inside. Another suggestion is boxes. Lots and lots of boxes. not all at once, but whenever you have a box or a paper bag from a purchase, share those with the cats and let them explore the new sights and smells in those items. Keep them around a few days and then recycle them and exchange them for newer ones. A cat’s world is largely made up of scents and every new item will tell them a story of sorts. When you come home, don’t forget to let them smell your hands and learn about where you’ve been! If your cats will tolerate a harness, going outdoors on a leash may be helpful. It really depends on where you live. If there’s lots of traffic noise outside, many indoor cats will be too frightened to enjoy the experience, but it’s worth a try if you’re in a quiet neighborhood. 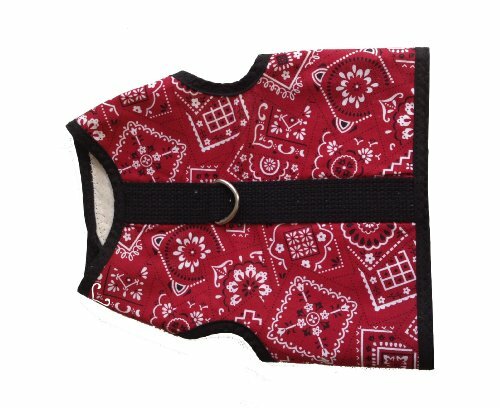 Just take it slowly, allowing the cats to smell the harness and then to wear it for brief periods inside your home. If they get comfortable with that, you can try taking them out on a leash one at a time. Just be aware that this may expose them to parasites, so you’ll need to have a good flea treatment plan in place first, if you don’t already. Finally, every cat needs premium playtime every single day. With two cats, it’s easier because they will probably play with one another, but they still need time with you. 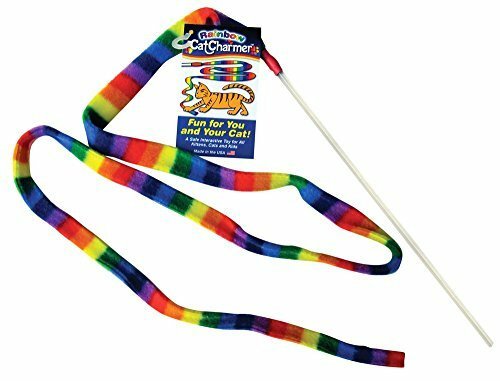 Schedule a couple of regular play times every day during which you use interactive toys. 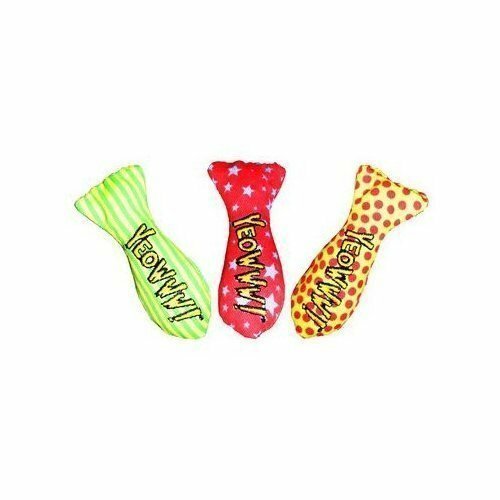 Wand toys are great and we’ve had good luck with all of the Yeowww catnip toys. We hope this helps, Molly. All our best to you and Otis and Isis! Help, My Cat's Licking Grout! Nick, you should take a look at Peyton’s gums. If they’re pale and Peyton is acting lethargic, he may be anemic. Cats often ingest cat litter and lick grout when they are anemic. You’ll need to have your vet do a complete blood count to find out for sure. This very specific form of pica has been linked to anemia. Treatments vary depending on the cause which we can't know without consulting a veterinarian. Anemia is a symptom of a deeper problem, so it may take some veterinary detective work to root out the cause if that’s the case. This will include various blood tests and possibly bone marrow tests. There are two classes of anemia, regenerative and non-regenerative. Regenerative anemia occurs when there is acute blood loss, not only to injury but also potentially from a parasite or an illness. Non-regenerative anemia is usually tied to a chronic condition, which in cats is often kidney failure. Both types of anemia are treatable, but they can have very different treatments. These should always be advised and administered by a qualified veterinarian. If it isn't anemia, it could be stress related. Have there been significant changes in your household of late? If so, those could be driving Peyton to develop some unusual behaviors. We have a previous post on pica here. Though it doesn't cover the grout-licking variety, it may give you some insight into other possible causes. We wish you and Peyton all the best!